The Mexican Wolf is the smallest subspecies of gray wolves. Although they are also called the Mexican Gray Wolf they are not completely gray. Their fur is a mixture of gray, cream, black and rust colors. 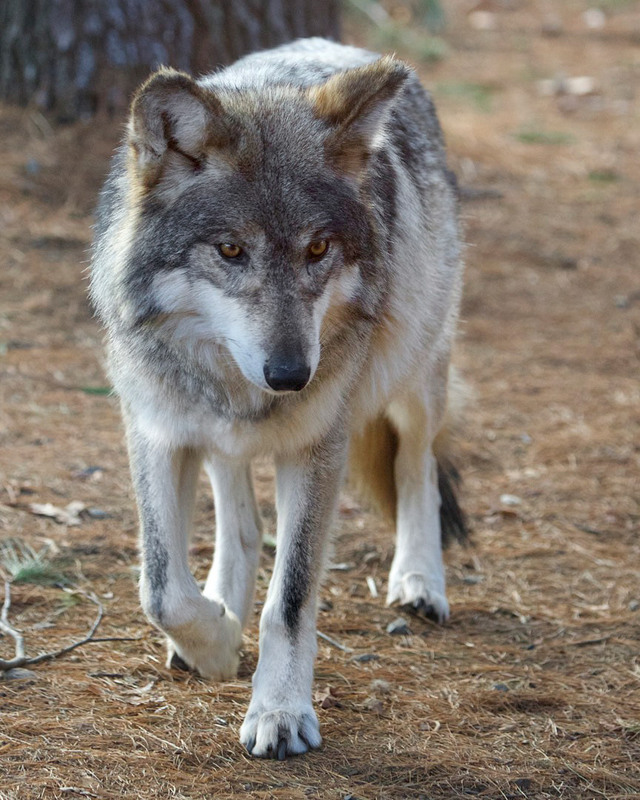 They are also referred to “El Lobo” and the Timber Wolf. 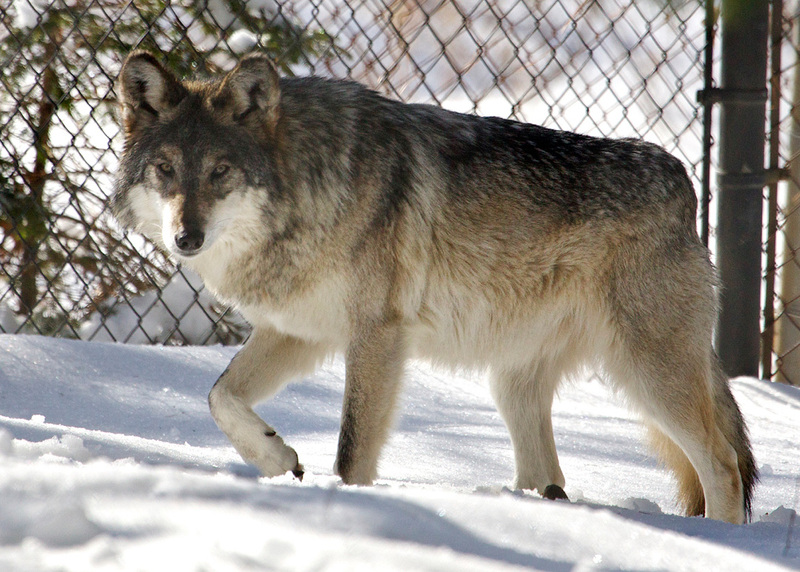 Mexican wolves may travel 30 miles in a day while searching for food or patrolling territory. For long distances they can trot at five miles per hour. They can also sprint for short distances up to 35 miles per hour. DESCRIPTION: Mexican Wolves weigh between 60 and 90 pounds. They are 4 to 5 feet long. Adults are about the same size as adult German Shepherds. They have sleek bodies and long legs. Their mottled fur provides excellent camouflage. They will live in caves, under tree roots and rock ledges, or will enlarge abandoned burrows from other animals. They hunt as a pack and may chase their prey a long distance before catching and killing it. Wolves are sociable animals within their packs. Packs rarely meet and stay within their territory. 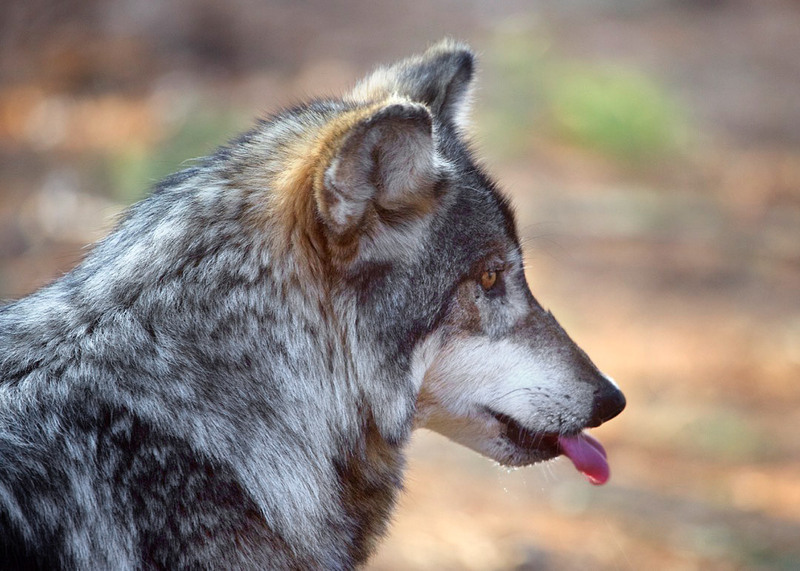 A pack’s territory is defined by scent marking and howling. Within the pack wolves communicate with body postures, facial expressions, barks, howls, whimpers and growls. Each pack consists of 5 to 30 wolves and is led by an alpha male and female and the rest of the pack operates like an extended family. Only the alpha pair breeds. RANGE: The Mexican Wolf can be found in the wild in Arizona and New Mexico. HABITAT: They live in mountain forest and grasslands. DIET: Carnivore – small mammals like rabbits and larger animals like elk and deer. FAMILY LIFE: Alpha wolves are monogamous. The alpha female gives birth to a litter of 4 to 7 pups in the Spring in a burrowed out den. The whole pack helps feed the pups by regurgitating food. Pups are weaned by five weeks. LIFE SPAN: The average life span is 8 years in the wild and 16 in human care.